Have you always wanted to perform at the Faire but don’t know where to begin? 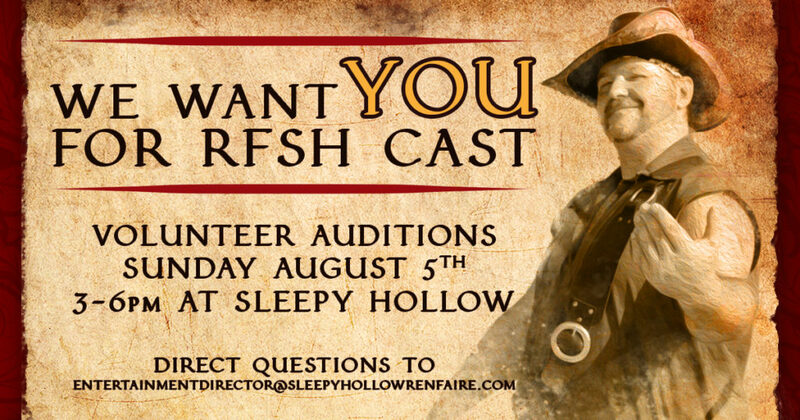 Volunteer cast is a great way to get started in the world of renfaire performance. Auditions are this Sunday, August 5th from 3-6pm in the Feast Hall. Due to campers for state Fair checking in today and the parking lot being very busy with the traffic, the auditions will now be back on the Renaissance Faire site in the feast hall. Navigate to Sleepy Hollow Sports Park at 4051 Dean Ave. Des Moines, IA 50317 and then follow the map below with directions to the cast entrance and where to park. Please be sure to bring a description of your character (original concept or specified role) and have a prepared monologue you can present to show us what you can do and how you would interact with our patrons in the streets. If you are a musician and would like to try your hand at playing a strolling village minstrel, we would love to hear from your as well. Bring a prepared piece and a brief character description. We would love to have you audition! If you are called back we will be having cast meetings every weekend leading up to Faire so you have a chance to meet the rest of the cast and practice your character and performance. All cast positions currently available are volunteer positions though you will be able to accept tips if offered by patrons. Auditions are open from 3-6pm and no scheduling a time is not necessary. 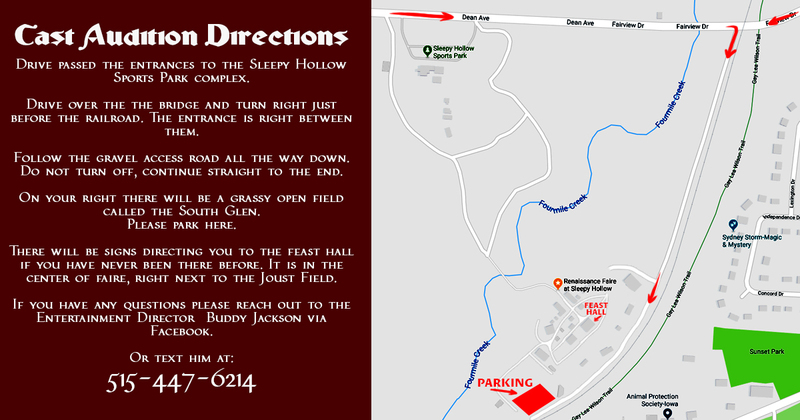 However, if you have any questions please be sure to contact our director Buddy at entertainmentdirector@sleepyhollowrenfaire.com.